Elvis isn’t dead, he’s living it up at the Heartbreak Hotel! At Heartbreak Hotel we’re all about neon lights, neon dreams and recreating those classic Vegas hotel party vibes. Jump on the bed. Dance until the sun comes up. Kiss a stranger. Fall in love. Don’t throw the TV out the window. We want to help you capture memories that will make it to the hall of fame! Got some rad dance moves? Bust ‘em out! Don’t be shy. We got your back! If you’ve got some ideas we’re happy to see what we can do to make them happen. Don’t let your dreams be just dreams. 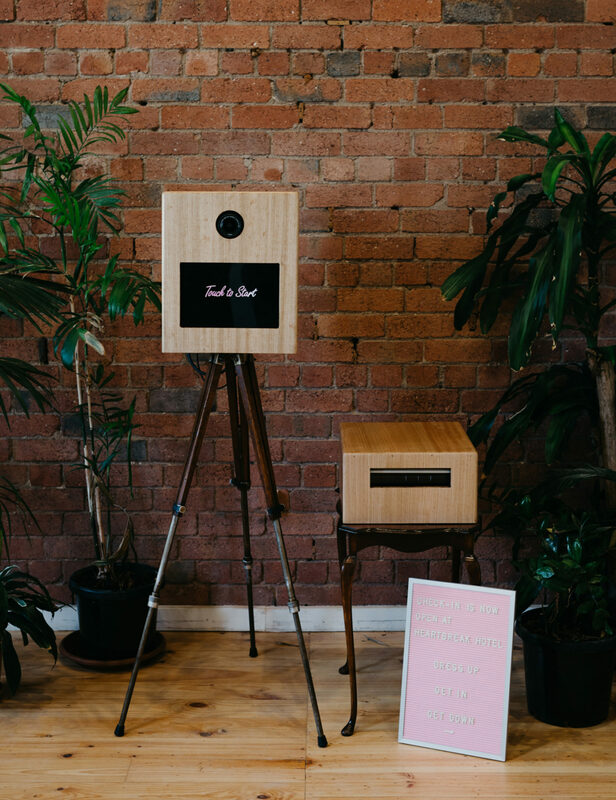 Heartbreak Hotel Photo Booth is a labour of love creation from the hearts of the people behind Free the Bird Photography – Jai and Leelou. That’s us! And we like to party. Over the years we’ve been to a lot of weddings. 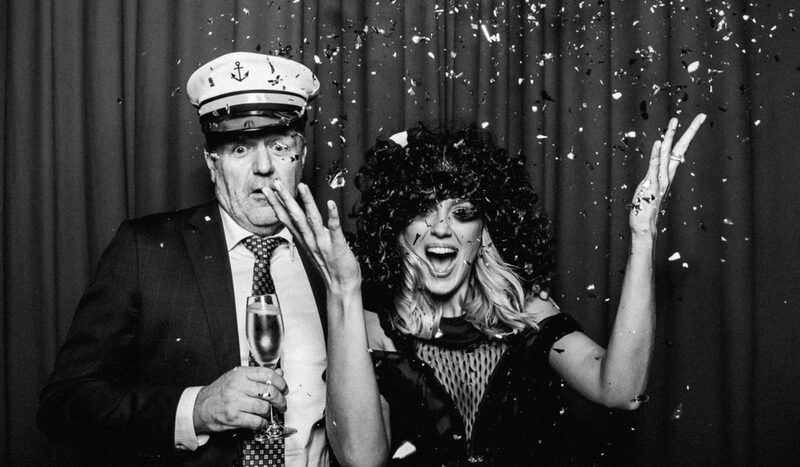 And photo booths can be a great way to create and capture memories for the hall of fame, though sometimes the energy just isn’t quite there. 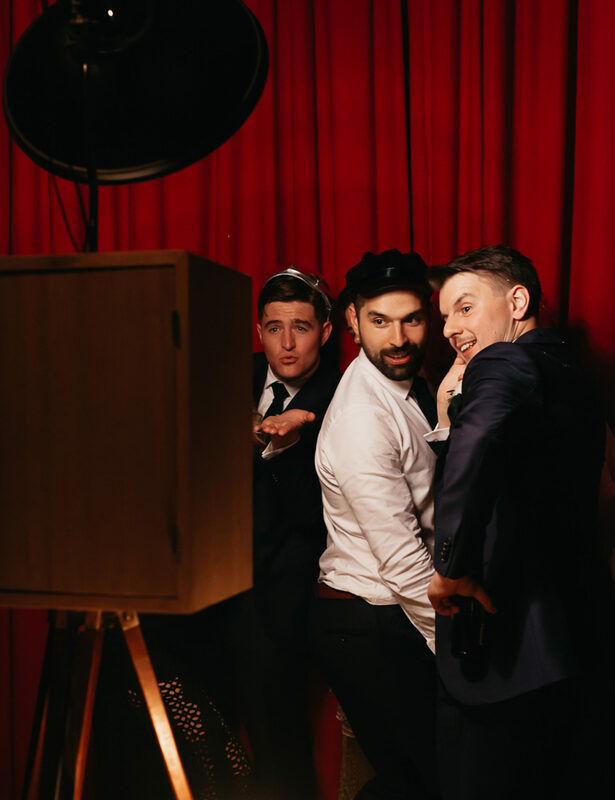 The energy of soul-filled nights, neon lights, the Vegas strip, Elvis impersonators, grungy hotel rooms and dirty dancing – that’s the kind of energy we want to bring to your wedding. 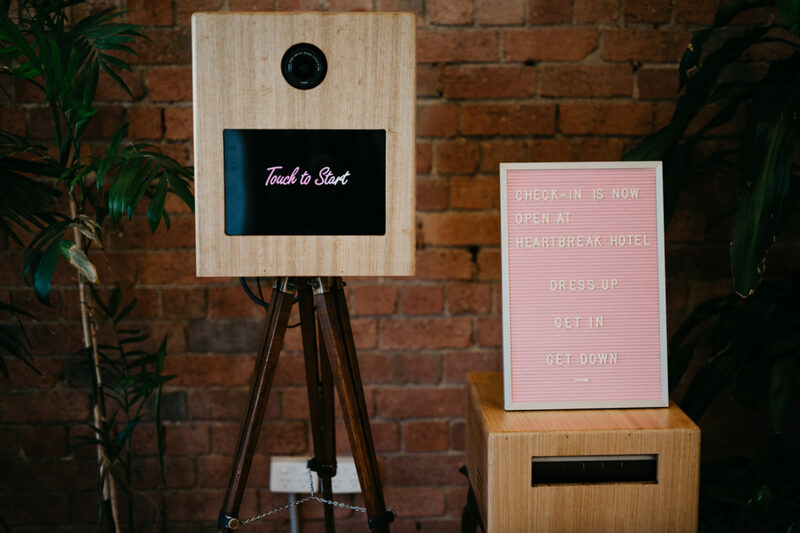 So if you like to party then check in to the Heartbreak Hotel photo booth, two and a half square meters of pure fun!